With our expertise and trustworthiness, we are engaged in offering an optimum quality range of bamboo handicraft items. We are one the leading Manufacturer and Exporter of Leather Storage Baskets. This leather basket with a simple design can hold large amount of things. Iron Wire Storage Baskets - Set Of 2. Iron wire storage baskets with handles - set of 2. - Product Weight: 250 Gram. Hand Woven Grass Baskets have been part of rural life for very long. Now these humble Hand Woven Grass Baskets are getting popular among urbal population too. 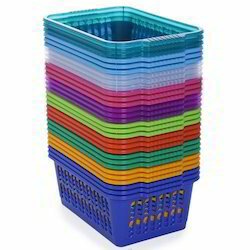 Storage baskets with lids in stripe designs. Ideal for kitchen and toilets. It is moisture resistant and fungus free. This multi utility basket is a must buy for every home. Its attractive ethnic design is sure to fetch you compliments. 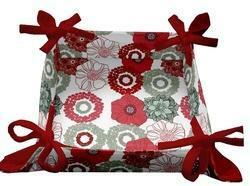 Suitable as a packaging medium in gifting. Can be use for pot pourri, chocolates or dry fruits. We offer a high quality range of Grain Trolley that is manufactured using stainless steel which offers durability. These are widely used to store various articles like flour, sugar, and other food items of varying heights. Our range is used in both domestic as well as commercial kitchens. KEEPING PRINTED CIRCUIT BOARDS WHILE ULTRASONIC CLEANING IN TANK. CARE IS TAKEN FOR SAFETY AND PRODUCTION.